Like most things in the modern world, there's constant change and innovation within the beauty industry. It can be so hard to keep up yet so exciting to keep up with all the new products, so here I suggest the monthly beauty subscription. Usually I am quite apprehensive to try such a business model out for you as I feel the market is quite over saturated, but with not necessarily the best product. So you can take it in good faith that when I recommend such a product it is genuinely because I feel it has a worthwhile quality and point of difference. Introducing Maslow & Co, taking the effort out of trying a new beauty regime with an authentic passion for beauty and innovation. I find that being based in Australia it can often be hard to get a hand of the latest when it comes to well anything really, what i find uniquely cool about Maslow & Co is that rather than just offering a monthly subscription to any kind of beauty, each month is tailored to a new country meaning you can get the most sought after products in the world without the travel. The month I started with was the Australian Edit, and without giving away too much I was pleasantly surprised by the quality of each product - the quantity is not to be disregarded as well. I'd have to say a standout would be the 'Divine Woman' Series, a certified organic skincare range that I previously hadn't heard of before. Another favourite of mine would be (understandably so) the Original Mineral 'Know Knott' Detangling Spray, again another product I had never been in contact with before but something I'll be keen to incorporate into my daily routine. It can be hard to change up your beauty routine, often recommended products can be up to hundreds of dollars that can be hard to part with when you're not sure how well it will work. 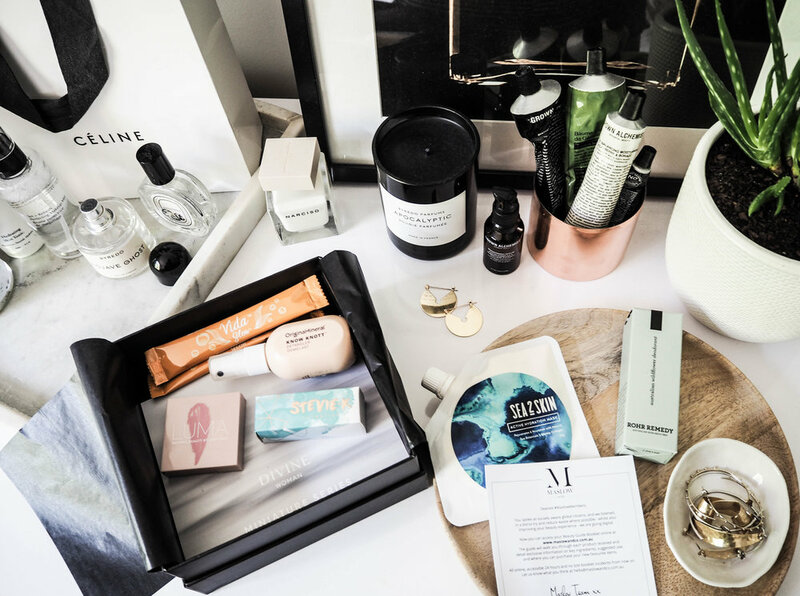 For those looking to expand their product knowledge or even gain insight into a more global perspective of beauty the Maslow & Co subscription is a great option, one that I'll be further reviewing with their next edits.